In these on-going weekly meditation classes with NCMC instructor J. Javier Cruz and assistant Jennifer Becher you will learn basic meditation and how to apply mindfulness in daily life to live with more ease, more joy, and less stress. Sessions include meditation, light yoga stretches, readings, and discussion. Translations to Spanish and Portuguese as needed. Contact us at info@newarkmeditation.org if you would like to attend. No walk-ins. A free community service program of NCMC in cooperation with Ironbound Community Corporation. 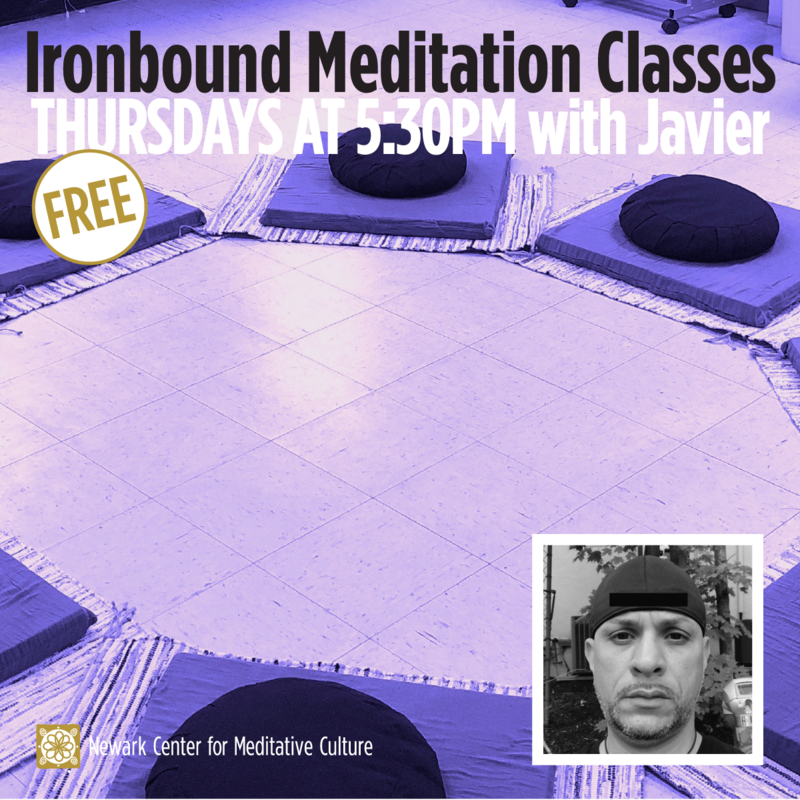 This entry was posted in Body Scan Meditation, Breath Meditation, Meditación en Español, Meditation, Meditation Groups, Metta, mindfulness and tagged #atencionplena #meditacion #mindfulness #meditaticon #metta #compassion #ironbound #newarknj. Bookmark the permalink.